The new study, authored by former senior military leaders, diplomats, and foreign affairs officials, outlines the complex issues posed by terrorist organizations and irregular forces’ exploitation of the laws of war followed by democratic militaries. The brutality of terrorist groups and other non-state actors, who hide behind civilians and exploit the self-imposed restraints of democracies, requires a new approach to fighting on today’s battlefield. Today’s battlefield has become truly multidimensional, densely populated, blurred in distinction between combatants and civilians, and exposed to the public 24/7 in real time. 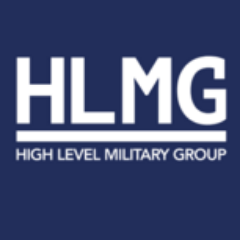 The High Level Military Group (HLMG) today released an in-depth report detailing the complex state of modern warfare as terrorist organizations and irregular, non-state forces abuse the rules of war with no respect for life or law. Through real-world examples, the study illuminates two sides to this global issue: terrorist forces who abuse the protections of international law, and democracies whose militaries must navigate increasing challenges to deal with the threats. This expert comparative assessment brings to light the hard choices that democratic and Western militaries are forced to make in gravely difficult scenarios as they fight enemies who abuse the Laws of Armed Conflict by hiding among their own civilians. The report provides insights that can be useful to the U.S. and other democracies in the fight against terrorist groups such as ISIS, Hamas and Hezbollah, as well as organized criminal fighting forces including Latin American drug cartels and other groups across the globe. The report is being released at an event featuring a distinguished group of retired senior military officers and foreign affairs officials of the High Level Military Group, including: David Deptula, Dean of the Mitchell Institute for Aerospace Power Studies, Richard Kemp, former Commander of British forces in Afghanistan, and Pierre-Richard Prosper, former United States Ambassador-at-Large for War Crimes Issues. Consisting of military leaders, diplomats, and officials from NATO and other democratic countries, the High Level Military Group was formed in early 2015 by the Friends of Israel Initiative. The group’s mission is to add a professional military and legal element to debates about warfare in the 21st Century, which at times have been ill-informed and politicized, and which are of vital importance to our own armies and alliance partners.